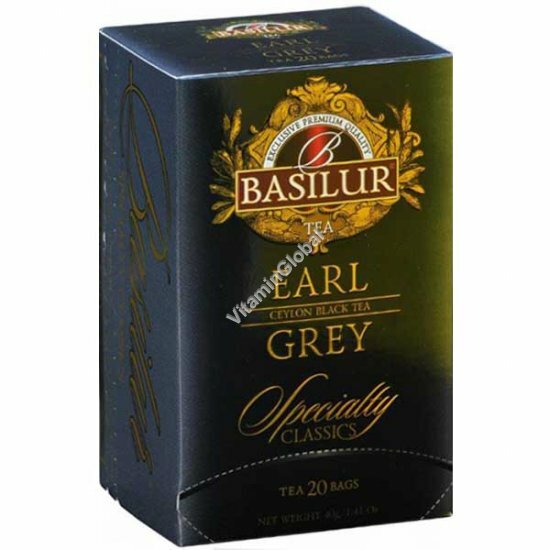 Basilur offers premium quality tea, which will surprise both beginner and true tea gourmet. Brewing instructions: Place one tea bag of Earl Grey Ceylon Black Tea in a cup and add boiling water. Let steep for 3-5 minutes. Add sweetener if desired. Ingredients: 100% Pure Ceylon black tea and flavour bergamot.